The Bank of Korea has installed a new system from technology company Calypso that will help it better manage the country’s sovereign reserve. Korea currently has the world’s seventh largest reserve, $329 billion. The Bank of Korea’s primary goal is price stability; it carries out the functions of a central bank, including issuing banknotes and coins, forming monetary and credit policy and serving as the government’s bank. It also oversees the payment and settlement systems and manages the nation’s foreign exchange reserves. The bank turned to Calypso to help manage its foreign reserve investment strategies more effectively; the new Calypso system is designed to improve the bank’s levels of straight-through processing and operational stability by bringing the front, middle and back offices together on the same platform. The new tools cover investment management across FX, money markets, equities, commodities, fixed income and interest rate derivatives. 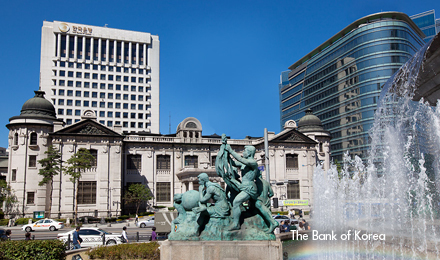 The Bank of Korea implemented the Calypso system with the help of NOA-ATS, a Korean consultant firm that has worked with Calypso Technology since 2004. Calypso is named after a mythical Greek goddess, primarily known for her part in the legends about Odysseus. The company itself was created in 1997 and is headquartered in San Francisco. BNP Paribas Securities Services has teamed up with Calypso Technology to bring to market “a full, end-to-end post-trade services offering across asset classes” for investment banks. The Japan Securities Clearing Corporation has gone live on a new system for client clearing of Japanese yen-denominated interest rate swaps and collateral management. Most emerging Asian countries have developed or are developing their own CCPs and trade repositories in response to global reforms of OTC derivatives markets – but proliferation of CCPs is a concern, according to new research by analyst firm Celent. Treasury and capital markets (TCM) vendor Calypso has implemented its collateral management system at Alberta Investment Management Corporation (AIMco). It has also joined forces with the R3 blockchain consortium to build TCM applications on R3’s Corda distributed ledger technology platform.